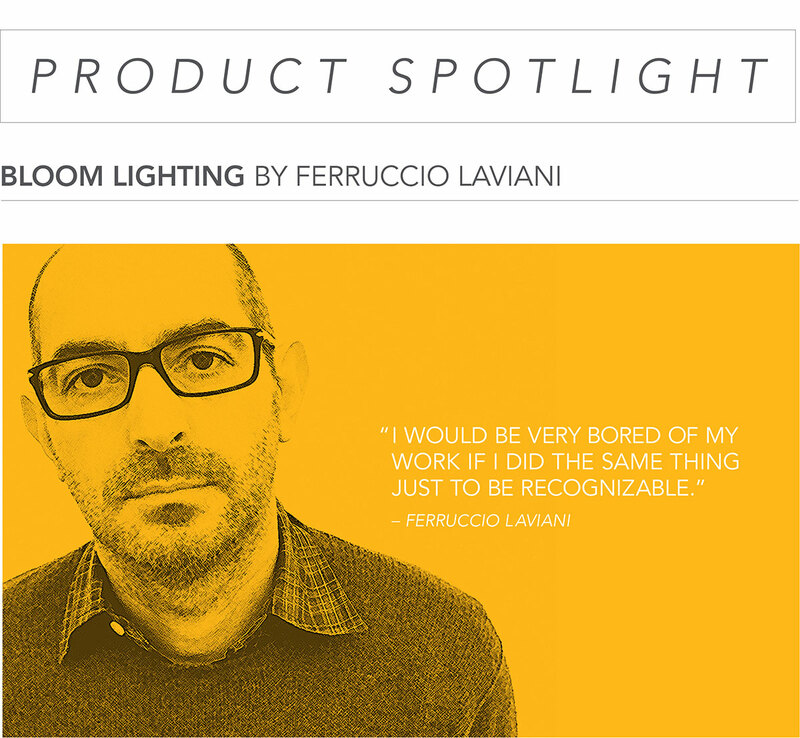 The Bloom lighting family designed by Ferruccio Laviani for Kartell is available in a variety of sizes and comes as a hanging, wall or ceiling fixture. 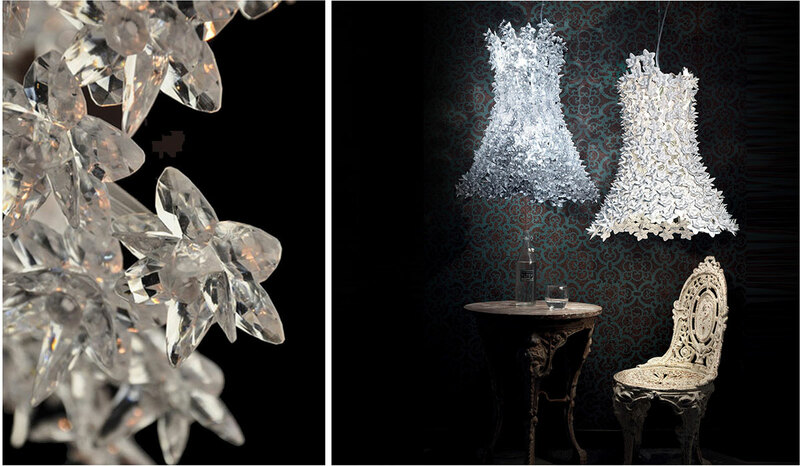 Vibrant and undeniably unique, Bloom’s framework is covered with hundreds of tiny transparent polycarbonate flowers which beam thousands of delicate reflections when lit. 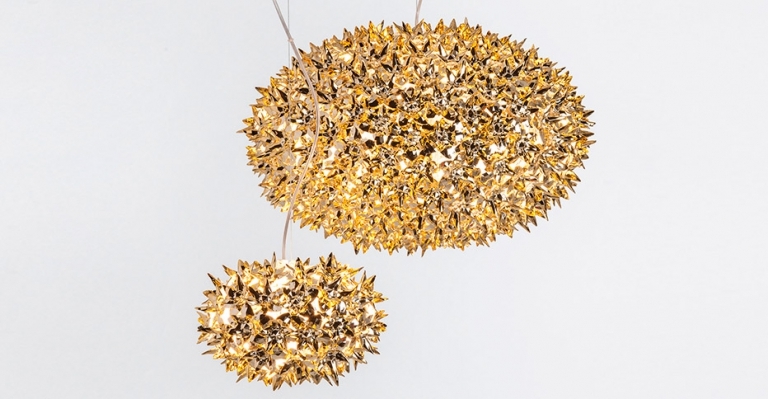 Bloom is impeccably made with the form and stylistic complexities of a uniquely hand-crafted artifact. 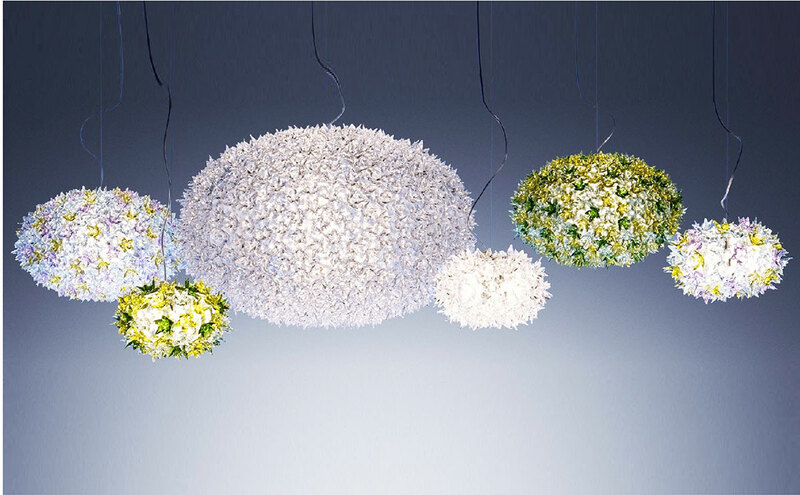 Ideal for both home and public spaces, Bloom will inevitably add a magical splendor to any environment it occupies. 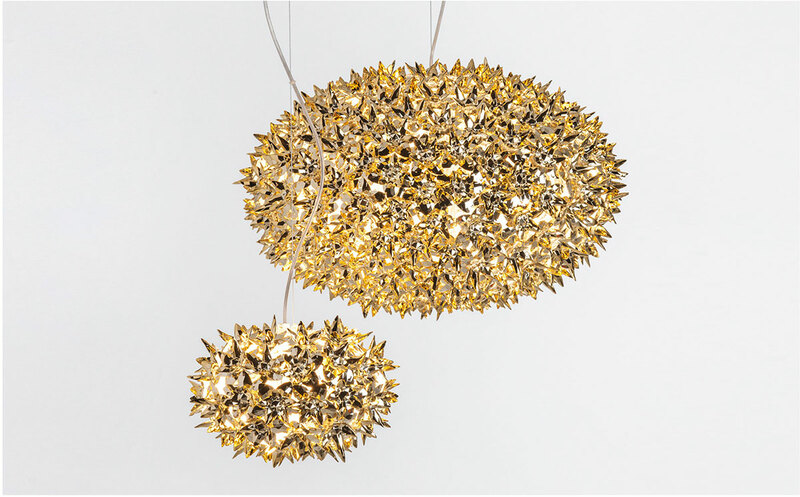 Available in transparent crystal, matte white, black, multi-colored and metallic, Bloom is a true work of art that can furnish and fill a room all by itself.